You wish to create your own bookmark or you need ideas for bookmark projects with children? Here you'll find tutorials for DIY bookmarks and printable bookmarks. 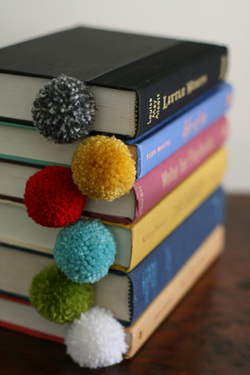 ​How to create a charming little bookmark by using yarn pom pom balls. This is the perfect anytime gift because it’s affordable, easy to make, and turns out a fluffy ball of cuteness. It’s sure to improve the look of any book! Easy to make bookmarks of various styles using fabrics, origami folding of paper, printable and tapes. Page corner bookmarks are cute, practical and deeply under-represented in the world, says Tally. They’re easy to make, easy to customize, and will set you apart from all those same-same flat rectangular bookmarks. Let these Free Printable Feather Bookmarks help you remember where you left off in any story. Each bookmark features a quote by a famous author that will inspire you each time you open your book. With 3 quotes to choose from, you can match the quotes to the theme of your book whether it’s a love story, a memoir or even an adventure theme. Did your kids come home with a summer reading list? Do you have a stack of books you would like to enjoy on the warm summer evenings? Then this is the printable for you! My little woodland friends love books and can be printed as a personalized bookmark. Just download and open the PDF in Adobe Acrobat. You can select the name on each bookmark and type in your own. Print these onto a heavy card stock and trim for the perfect summer reading buddy. Enjoy! Print and cut out the clip-on Foxy bookmarks, beautiful design. Completely adorable fox bookmarks, ready to print. How to make a dress shaped bookmark. 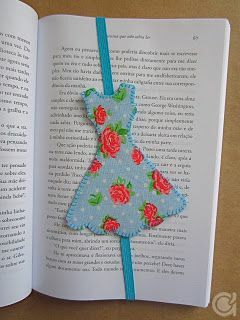 Create lovely fabric bookmarks in the fresh shape of a spring dress with an elastic strap to fix it on your book cover. Make your own cute bookmarks with pretty furry critters. The digital designer Joanne Reidy provides free printible templates along with instructions for an easy and rewarding project. These DIY leather bookmarks are inexpensive and not-too-hard-to-make gifts. They can be made easily and require only the ability to cut a straight line. It's not hard to make a dozen at a time. Found on the website Dollar Store Crafts. Over 300 colourful bookmarks submitted by the readers of the magazine can be downloaded and printed for your personal use. Please respect the copyright of the artists. Some of the bookmarks may appear somewhat neon on the screen—those are cmyk files that will print correctly on paper. Pages brimming with interesting DIY ideas, such as nice homemade bookmark designs. The kids love seeing themselves hanging down from the page. 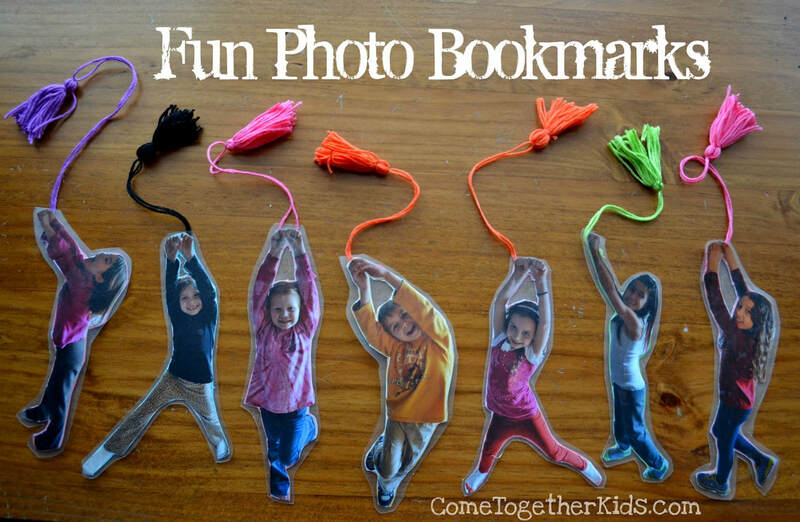 To start with, take a photo of the child posing as if they're holding onto a rope and hanging down..
​Cute bookmarks made from simple materials. ​Instructions for making bookmarks from materials such as old maps, buttons, and flat sticks. Like many other kids (and adults) the girls of Helena love Minions. Thus they decided to make bookmarks inspired by these yellow characters. Free printable template and instructions are provided, if you and your children would like to produce these adorable bookmarks. Paper Corner Bookmarks ​that look like flowers. Paper Corner Bookmarks are super easy to make, look fun and are super quirky. They are great as a Father's Day Gift or a Teacher's Appreciation gift.. or simply for Back to School crafts. Turn them into Monsters, Owls or whatever takes your fancy. Very easy to make and witty bookmarks just by cutting paper and making a few dots by pen. See how to make mini doodle bookmarks, easy and fun! Makoccino shows you 6 cute bookmark ideas for back to school projects that are super easy and fun to make featuring Totoro, Pikachu and other cute designs like chevron and origami hearts! Here are 12 ways to make your very own cute and original bookmarks!